IHC: Yes, bankers are polite these days for some reason. surveygirl46: Well, the obvious thing to say is "thank you". Count: Glad you like it; it sure caught my eye. 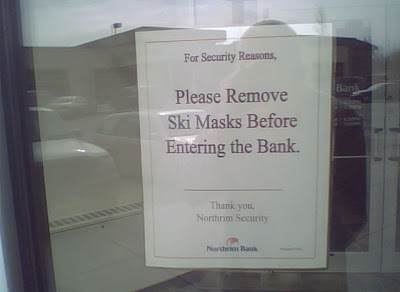 I thought it was from a bank in Vale, Colorado!